How to Sync SMS between Nokia and Android? Home > Resources > Transfer > How to Sync SMS between Nokia and Android? There are many things you should do after you switch from an old phone to a new one, such as an old Nokia phone and a new Android mobile. One of those things is transferring your important data from your old Nokia to the new Android device. After all, you have many personal and crucial data stored in your old Nokia phone, such as text messages you have sent and received with your lover. But SMS transfer failures can occur when the transfer has been initiated. This article is written to solve your problems. 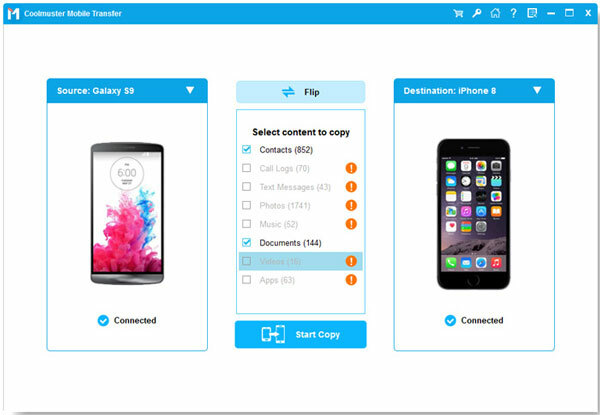 And the tool we would like to introduce to you is Mobile Transfer, with which you can transfer whatever you want, including contacts, text messages, photos, videos, music, apps and many more between two mobile devices, no matter they are Android, Symbian and iOS devices. For transferring SMS, all information can be preserved after the transfer, including phone numbers, text contents, contact names, send/receive time, etc. Sounds wonderful, right? Next, we show you some steps for you to carry out the SMS transfer between Nokia and Android phones like Samsung, HTC, LG, Sony, Motorola, ZTE, Huawei, Google, etc., with the help of Mobile Transfer. 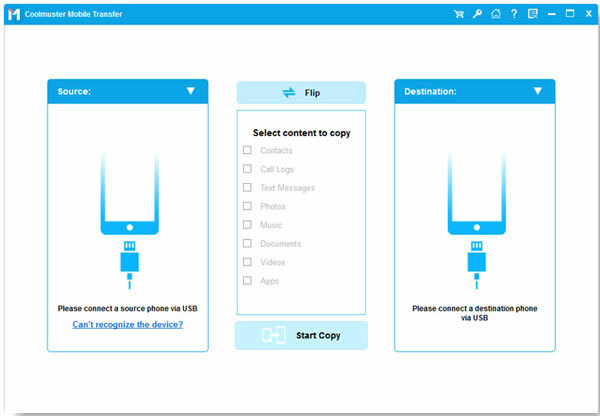 After downloading and installing the Mobile Transfer on the computer, launch it and get your Nokia and Android mobile phones connected to the computer via the USB cords. Then, you can see the below interface. Choose the Phone to Phone Transfer mode and hit the Start option to continue the process. Then, you can see different file folders in your Nokia and Android phones are arranged on the top panel. Click the tab labeled "SMS" to preview all contained text messages in the two phones. Tick out the messages you want to transfer from Nokia to Android or Android to Nokia and hit the right or left arrow direction to start the transfer. Done!